Select Open Quarantine Manager. Use the attached picture as a guide. From the Quaratine Manager window, click the padlock to unlock that window. Type in your Mac user account password when prompted. Click the Clean Up Threat button. Sophos will then try to remove the infection. Click on one of the infected files then click the Reveal in Finder button. 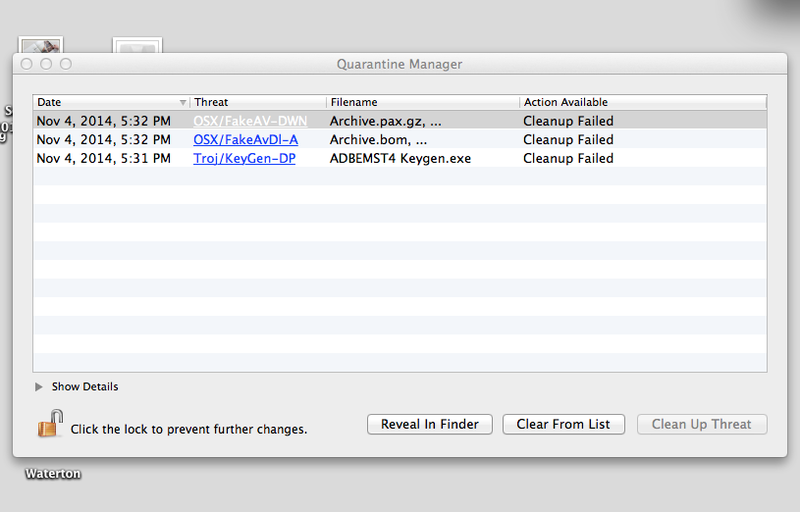 Wait a few seconds for a Finder window to open and display the infected file. Drag the infected file to the Trash, presuming you’re sure you don’t need that file. Read more about clean up, quarantine manager, remove, Sophos, virus.